Sarah Stewart: What do you get out of being a volunteer? What do you get out of being a volunteer? 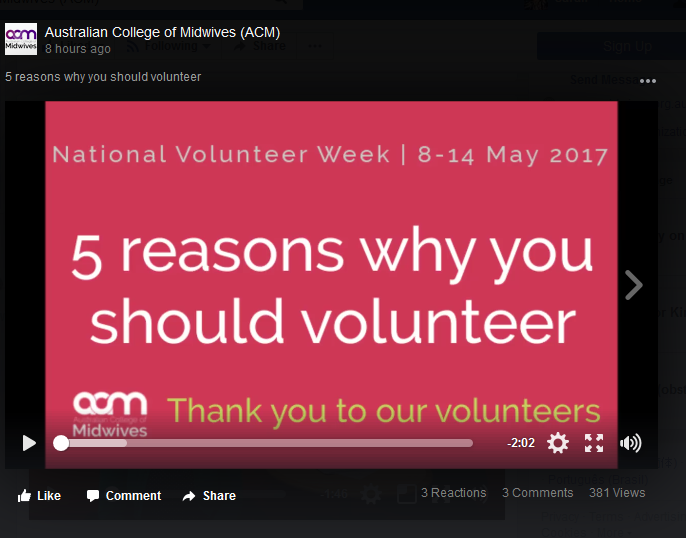 I have the privilege of working for the Australian College of Midwives, and a lot of the work we do would be impossible without the legions of volunteers we have who help us out, from being a board Director to providing us with feedback for our submissions. This week is National Volunteer Week, and we've been running a campaign at the ACM to thank everyone who works with us. 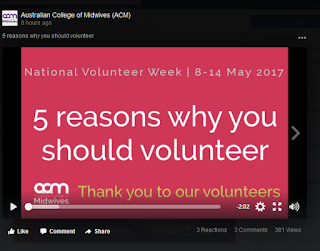 I had my arm twisted to make a short video, promoting volunteering for the ACM - if you want to have a look, but I wouldn't recommend it! - you can see it here on the ACM Facebook page. This got me thinking about my volunteer work over the years and I have to be honest, I haven't done as much as I should have. Nevertheless, I am proud of what I achieved with the Virtual International Day of the Midwife, which is still going strong and just had its ninth year. And the Midwifery Evidenced-Based MOOC was another achievement that I am extremely proud of. 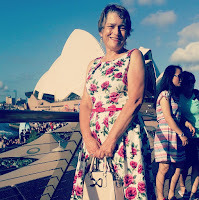 Both activities have been about my passion for supporting the professional development and education of midwives, at home and in developing countries. More recently, I have been a Board Director at the Canberra YWCA and am now on the inaugural executive committee of the complex of apartments I have just moved into. As much as I have volunteered for these activities and others for altruistic reasons, ultimately I have gained more in terms of learning and professional growth than I feel I have given. But that's the joy of volunteering....you get as much out of it as you put in. Do you volunteer? What do you do and why? What have you gained from your volunteer work?